With the election behind me, I’ve finally had a little bit of time to come up for air. These past few months have been jam-packed with events and obligations, so these last two weekends, even though I still had a lot of plans, it felt like I had so much free time. Friday after the election kicked off with some celebratory drinks with my two co-Trustee-elects and one of our local business owners who supported us. We haven’t been sworn in yet, but once we are, Colorado’s Sunshine Laws prevent gatherings of more than two elected officials without it being a publicly noticed meeting – so this was probably our last opportunity to get together as “regular citizens”. Unfortunately, I couldn’t stay very long, as I already had dinner plans. It was my mom’s last night in town (! ), and a few friends and I were taking her out for one last dinner. 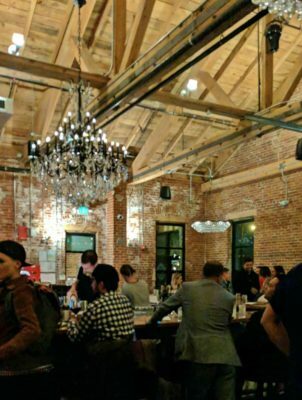 We went to Village Tavern, which is pretty close to home but where I rarely go, and I was really impressed by how good the food was. 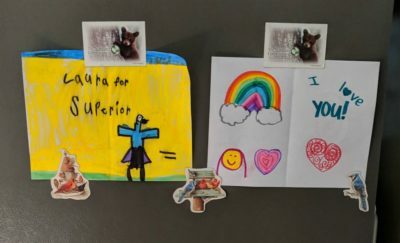 My friend’s twin boys had made goodbye cards for my mom, which was really touching, and we all made her promise she has to come back soon! Definitely for Christmas, and hopefully again in February. This spot is way too beautiful, and WAY too close to our homes, to become a drilling operation. From the airport, I had to hustle back to my neighborhood – I had a meeting with one of our current Trustees to make plans for an anti-drilling rally in the works for Sunday. I wasn’t going to be able to attend the rally, but I wanted to make sure I did my best to get the word out so we could stop this proposal! Not only did the company intend to set up drilling operations in our neighborhood (yuck), but more importantly, they planned to horizontally drill from my neighborhood a few miles down the road… and right under the former Rocky Flats nuclear production facility, a Superfund site that many believe was not adequately cleaned up! The idea of fracking and potentially disturbing the buried waste that we spent so many millions of dollars to cover with topsoil seems like a terrible idea. We finished up the cheat sheet, and I quickly headed home to bake a cheesecake (more on that Sunday) and get ready for a night out. My friend Kelly was celebrating her birthday, and she also wanted to celebrate my political victory from the week before, since she wasn’t able to make my Election Night party. We joined up with another friend of Kelly’s, my friend Lauren, and Lauren’s friend Shayla, and while each of us only knew one or two others in the group, we got along great as a group and had a fabulous time! We started our night with dinner and drinks at The Source, then moved onto Bigsby’s Folly Craft Winery for wine and a bit of a party scene afterward. I hadn’t been out someplace like this in a while, and it was a lot of fun for a change… though also a bit exhausting :) I was glad that I had left my car up at home, and grateful to Lauren for giving me a ride back up north when we were done, so I didn’t have to worry about driving when I was so tired. Plus, it was starting to snow!! I loved how airy and elegant this winery was! 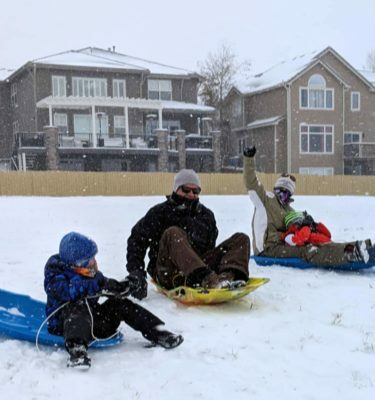 With my workout complete, I took a quick shower and then started settling in to catch up on email… when my friend Chris texted inviting me to go sledding in the neighborhood with her family. How could I turn that down?! I bundled up and headed over to the elementary school, where I found a big hill with a few families sledding down the couple inches of snow. Chris and her husband Mark were kind enough to share their sleds with me. I had a ton of fun racing their boys down the hill, and then towing the kids back up to the top so we could go again. And I may have set a bad precedent by not making the boys walk themselves – sorry, Chris and Mark! I’m a sucker for cute kids. 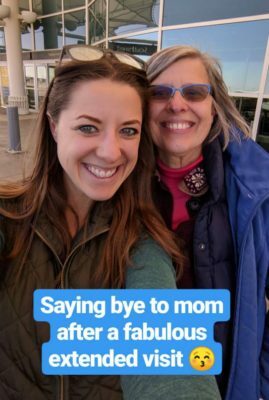 I had to call it a day soon, though, and get ready for a snowy drive down south to Highlands Ranch – my friend Sarah was hosting her annual Friendsgiving, and I was really excited for the festivities! I had made my caramel pumpkin gingersnap cheesecake the day before so it was all set to go, so after a quick change into something fancier, I headed out the door. The drive wasn’t too bad, despite the snow, and I was able to spend the hour catching up with friends / family on the phone. And the Friendsgiving was fantastic! Sarah is always an amazing host, and this year she had assembled four tables of wonderful people to celebrate the holiday. It was the perfect way to close out my weekend with friends and family. 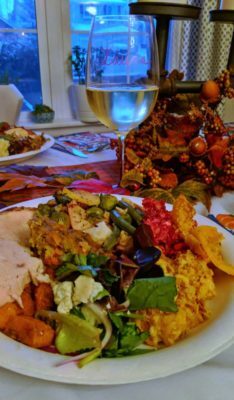 I piled my plate HIGH and wasn’t sorry I did. And had a few of my friend Amber’s insanely amazing homemade rolls, too! My next weekend, November 17th, was pretty short, as I had a business trip to Florida until Friday afternoon. It was a pretty hectic week, both with work and with Town Trustee responsibilities. On Monday night, although I hadn’t yet been sworn in, I sat up on the dais for an emergency Board Meeting – that ended up drawing hundreds of people to discuss the application that had been filed to drill in our town. It was beyond a packed house, and I’m sure we broke every fire code, as people lined the walls, hallways, and even stood outside in the bitter cold waiting for their opportunity to make public comment against the application. There were people sitting on the floor underneath the dais, and I was told that one of our state senators was outside Town Hall and unable to even get in the door! The number of people was pretty overwhelming, but it was also pretty amazing to see what our little town can do when we come together. The meeting’s purpose was not to make any decisions, but to hear from the public as well as a few experts (an oil and gas attorney we hired, a representative from Colorado Oil & Gas Commission, and a mayor of a neighboring town with drilling) on what our options were. And it turns out that just the massive uproar was enough – the application to drill in Superior was withdrawn the next day, and the application to drill under nearby Rocky Flats was withdrawn on Friday! Our town still has a lot of work to do to ensure that no one can ever drill nearby, but this victory felt great. The victory also meant that while I had planned to fly home Friday night and head straight to Town Hall to be sworn in early and commence an emergency Board Work Session, I instead had the night off. 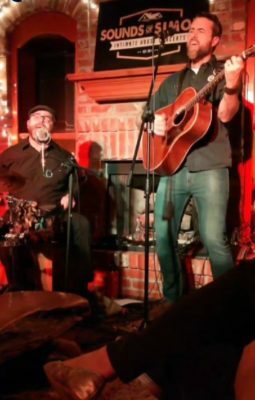 The travel gods also smiled upon me, and since my flight was on time I got back just in time for the final Sounds of Simon house concert of 2018! Much more relaxing than my original plans. I had a lot of friends going to Sounds of Simon this time, and my friend Heather swung by my house to pick me up on her way. We ended up being the first guests to arrive, and scored prime front row seats to the show – much better than my makeshift floor space “front row” seats I usually grab when the actual chairs are taken :) And I was also able to save seats for a few friends who didn’t get there as early as we did, while chatting with the many other friends and neighbors in attendance. Loved this country group, The Contenders! Saturday morning, I woke up wanting desperately to go running… but it was gray and freezing cold, so I decided to do OTF that morning and follow it up with a run Sunday (the opposite of what I had loosely planned.) The election has definitely taken a toll on both my exercise routine as well as my eating habits (too much wine and cheese! ), and while I know the holiday season is a terrible time to start a diet, I really need to get myself back on track. Saturday was a power day – my favorite type of OTF workout, as the blocks are short. I can get through anything for another sixty seconds, right? 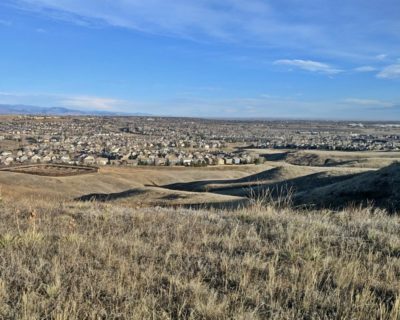 I normally dread doing OTF in Colorado, because it’s hard for me to figure out what paces to hit. Part of what I love about OTF is knowing exactly what my pace should be, so that when it gets really hard, I keep pushing hard – but when I’m in Colorado, I second guess whether I set my pace at altitude too aggressively, and end up dialing back my workout. Not this time, though! For the first time in Colorado, I managed to hold a base pace of 9.0, a push pace of 10.0, and an all-out pace of 11.0-12.0 – which is exactly the speeds I’ve been running in Florida. I was really proud of myself, especially since I felt reasonably strong doing that! Although I was done working out by 9am, I now had a lot of down time, with no plans until 6pm. Bliss! I knocked out a few errands and then headed home to become a cleaning machine. As I’m sure will come as no surprise to long-term readers, I keep an Excel file detailing what cleaning chores I’m supposed to do each week of the year; however, for the last month, I’ve missed doing almost all of them (thank goodness for robot vacuums), so it was time for me to do some big-time catch up! After knocking out a scrub down of my shower (#glamorous), I settled into my computer to catch up on emails… and yet again, was distracted by a text from my friend Chris. Not a bad thing! This time, she was inviting me for a round of shopping. Specifically, she had been out shopping for her husband’s holiday party, and spotted a dress at White House Black Market she thought I would love for my holiday party. I hadn’t yet decided whether I was buying something new this year or wearing something I already had, but I decided it wouldn’t hurt to go check it out and get some catch up time with Chris. The dress was in the window, and we immediately grabbed it in my size. But while I was trying that on, we figured it wouldn’t hurt to grab some more things as well, and we ended up pulling a whole rack of things to try – including a jumpsuit, just for fun. 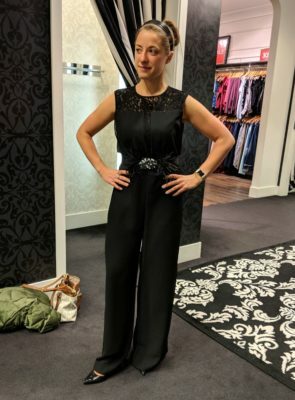 I’ve never worn a jumpsuit, and thought I would hate it… but when I tried it on, I actually loved it and found myself somewhat torn between that and the blue jacquard fit-and-flare that Chris nailed as my usual style. Hmmm… I liked this much more than I expected. But who was I to stray from a classic?! I absolutely loved the fit-and-flare, and it made me really happy to wear it. I think this is what Marie Kondo means by “things that bring you joy” :) While even at 40% off I thought it was pretty pricey, I bought it – reasoning that I could still think about it for a few days and bring it back later. I posted pics of our shopping expedition to Instagram (including the jumpsuit pic above), and was surprised to start getting literally dozens of comments from people telling me they hoped I bought the jumpsuit. Although I don’t post wardrobe “this or that” stories often, when I do, I tend to get a lot of opinions – and this story got the most comments of anything I’ve ever posted! (It also helped me reconnect with a few high school friends I literally haven’t talked to in over a decade, who follow me and with whom I was excited to start up a catch up conversation.) With that kind of response, on Sunday, I ended up buying the jumpsuit online for free shipping to my door. I’m still not 100% sold, but I’ve got a week before my holiday party to figure it out! The rest of Saturday was a snowy night out in Louisville, where I headed to Por Wine Bar for dinner and drinks. I love how Old Town Louisville feels so magical when it’s snowy and quiet on a weekend night! I can’t say enough how much I love small town life, and feel so fortunate to have discovered Superior and Louisville. Unfortunately, all that snow Saturday night piled up for a frosty and slick Sunday morning, making me miss my run once again. Two weeks in a row, and yet I haven’t made it out to the mountains once to go skiing. In the midst of my crazy week, I also closed on my new mountain house in Vail, and now I’m especially eager to make the most of my upgrade to the (full) Epic pass and start skiing Vail and Beaver Creek! This was not the weekend for that, but hopefully it will be soon. Instead, I headed to OTF for a second day in a row – and was punished with a strength day, which I think is the toughest day on the treads at Orangetheory. This particular day luckily wasn’t as bad as some strength days could be, but I still did really poorly, and ended up taking a few walking recoveries when I wasn’t supposed to. I couldn’t tell if I just was tired from the day before, or if I still have a lot of work to do to figure out what speeds I should be holding for a Colorado strength day – probably the latter. Curious if anyone else struggles with changing speeds on the different days and across different altitudes? After Heather’s, it was back to my house for some house cleaning – and specifically, closet cleaning. A friend of a friend was hosting a clothing swap party to close out the weekend, with all the leftovers getting donated to charity after, so I took the opportunity to sort through and bag up a ton of stuff I’ve been meaning to get rid of. The party ended up being a lot of fun – I knew about a half dozen people there, and it was great to catch up while also getting to make some new friends too. In all, these two weekends had a lot fewer plans than my usual pack-it-all-in approach, but I’m enjoying having some down time to clean up around the house and try to get my life back to normal post-election. And I was especially thankful for the downtime this weekend, since I’m about to embark upon 10 days of travel for the holidays (mixed with business trips) before I’m home again! I am guessing it will be a while before I can truly get back into a routine, but I’m excited for Thanksgiving. I might be the only one, but I’m insanely curious about your excel cleaning schedule. I loved your other excel items that you’ve posted (I’m looking at you Turkey Day prep schedule). Would you mind sharing? Maybe a post about cleaning (hello #adulting!) is in order! I don’t know how you do it with all your travel!! !